Grean Coloured Plug Sockets & Household Electrical Fittings. This contemporary Colour Collection electrical plug socket has a cream satin painted metal back plate is available as a single or double plug socket. We can also supply matching cream satellite sockets, TV aerial sockets, phone and internet wall sockets and cooker switches. Quality UK manufacture and designed. 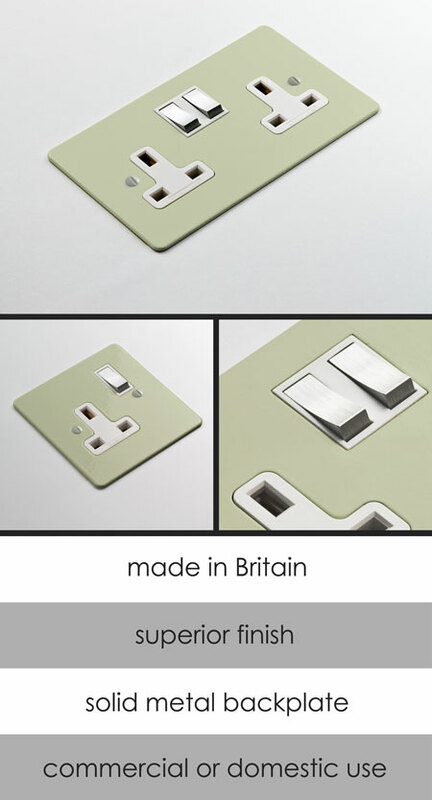 Household electrical sockets can be supplied in bespoke colours on 10 + items to special order.